HARTFORD – As a member of the Interstate Compact on Education Opportunity for Military Children, the State of Connecticut must maintain a State Council that ensures state and local government, school districts and military installations cooperate in complying with the compact and its required activities. Council membership must include the State Superintendent of Education, the superintendent of a school district with a high population of military children, a military representative, and one representative both from the legislative and executive branches of government. State Representative Holly Cheeseman (R-37) has been named as a legislative representative to serve on the Council. According to the U.S. Department of Defense, the average military family moves three times as often as the average family. These frequent moves can cause children to miss out on extracurricular activities and face challenges in meeting graduation requirements. The Interstate Compact addresses these transition issues for children of military families, ensuring that they are afforded the same opportunities for educational success as other children and are not penalized or delayed in achieving their educational goals by inflexible administrative or bureaucratic practices. The Connecticut Interstate Compact State Council will therefore work to coordinate graduation requirements, transfer of records and course placement, along with other administrative policies. “Rep. 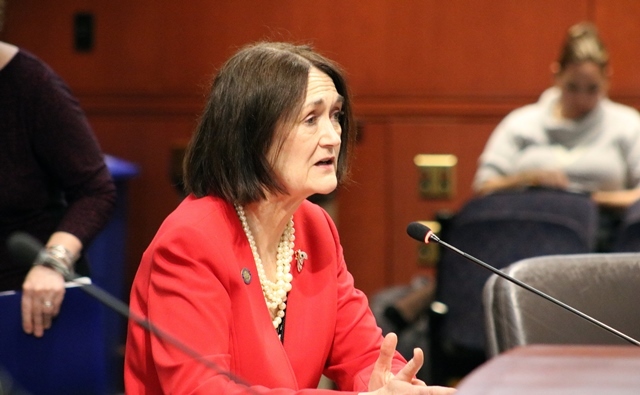 Cheeseman’s demonstrated interest in children and education makes her a perfect choice to serve on the Council and help Connecticut military families in transition,” said Robert Ross, Executive Director of the Connecticut Office of Military Affairs.